As you all well know, this past week/weekend was a time of celebration for many. Bobby, Emily, and I celebrated Thanksgiving on different days with both my husband's family and my family. We gobbled delicious treats and way too many carbs, caught up with people we hadn't seen in a while, and enjoyed the sound of children laughing and playing. And as much as we enjoyed our celebrations, I am reminded that being thankful should be practiced daily. Just like painting, writing, or baking fabulous pastries or cakes; just like public speaking, lace making, or wood carving; just like jam making, singing, or gymnastics, being thankful is an art form. Being thankful doesn't come automatically. Being thankful isn't something people necessarily notice in others, but it is something that we need more of. Too often we get busy with our day to day jobs, chores, and responsibilities, and we forget to appreciate all the little things. So this year, I made a list of things ten things I am thankful for year round. I am also thankful for my home town library where every couple of weeks I find a stack of books to bring home and review. 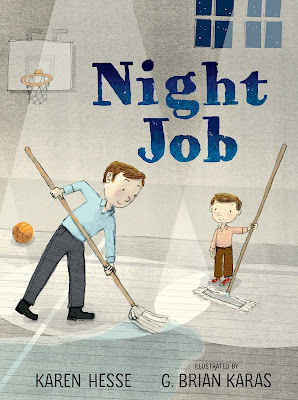 This week I particularly enjoyed a book called Night Job by Karen Hesse. 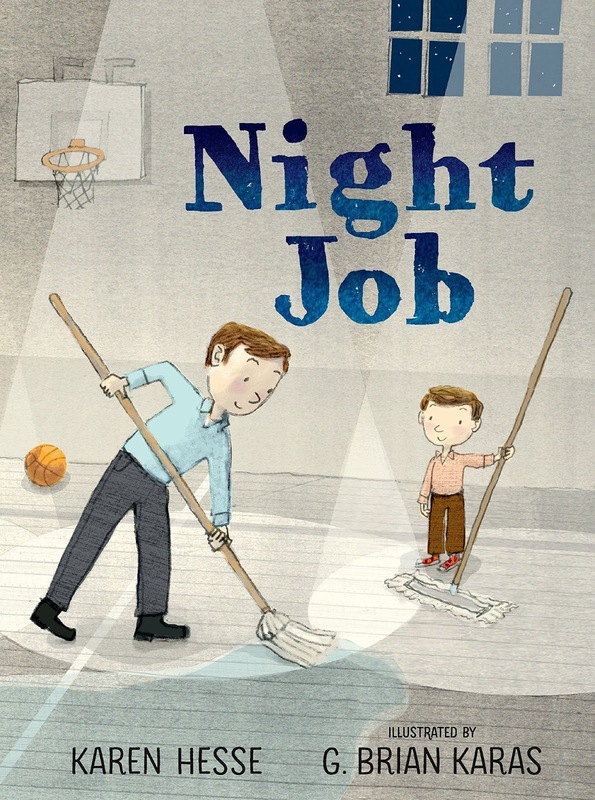 A beautiful and simple story that reminds us to think about and appreciate people who work while we sleep to make our world a cleaner and better place. It is the story of a night-time school janitor told from the pov of his son and if you haven't read it, I highly recommend that you do! Happy Thanksgiving to you too! That picture book looks fabulous - I'm going to keep an eye out for it! Thank you so much for sharing this at Booknificent Thursday on Mommynificent.com! Awe, thanks Tina. And thank you for stopping by and leaving comment luv!